The following is the third of eight position reviews of the Bears’ 2018 season. It’s hard to imagine a position group in the NFL that improved more from one season to the next than the Bears receivers in 2018. 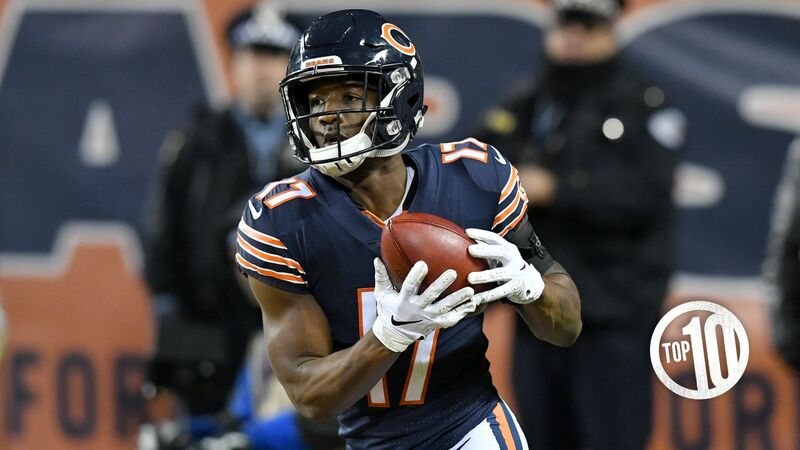 During the offseason, general manager Ryan Pace completely revamped the position, signing Allen Robinson II and Taylor Gabriel in free agency and trading up in the second round of the draft to select Anthony Miller with the 51st overall pick. The three new receivers played a key role in helping the Bears win the NFC North title with a 12-4 record and score at least 24 points in 11 games, their most since they also tallied at least 24 points 11 times in 1995. Robinson led the Bears in receiving yards with 754 while catching 55 passes, including four touchdowns in 13 games. He had a season-high 10 receptions for 83 yards in a Week 2 win over the Seahawks and caught six passes for a season-high 133 yards and two touchdowns in a Week 10 victory over the Lions. Robinson had a monster game in the Bears’ playoff loss to the Eagles, establishing a franchise postseason receiving record with 143 yards and tying Matt Forte’s team mark set in the 2010 NFC title game with 10 receptions. Gabriel had 67 receptions for 688 yards and two TDs. He produced a pair of 100-yard games, catching seven passes for 104 yards and his only two touchdowns in a Week 4 win over the Buccaneers and five passes for 110 yards—including gains of 54 and 47 yards—in a Week 6 loss to the Dolphins. Miller led the Bears with seven touchdown receptions, the second most by an NFL rookie behind only the Falcons’ Calvin Ridley, who had 10. The seven TDs were the most by a Bears rookie since Willie Gault had eight in 1983. Miller caught a 1-yard touchdown pass from running back Tarik Cohen on a gadget play as time expired in regulation to force overtime Dec. 2 against the Giants. Fourth receiver Joshua Bellamy had 14 receptions for 117 yards and one touchdown. He also made a clutch 34-yard catch of a Trubisky pass in the Bears’ playoff loss to the Eagles to set up the offense’s only touchdown of the game. Other receivers who contributed in 2018 included veteran Kevin White (4 catches for 92 yards) and rookie seventh-round pick Javon Wims (4-32). Robinson remains under contract through 2020; Gabriel, Miller and Wims are signed through 2021; and White and Bellamy are due to become free agents in March. The Bears traded up in the second round to select Miller, and the rookie receiver didn’t disappoint, leading the team with seven TD receptions. Gabriel proved to be an all-around receiver in his first season with the Bears in 2018, catching 67 passes for 688yards and two touchdowns. The running back was selected to the Pro Bowl in 2016 and could make it again with another strong season. 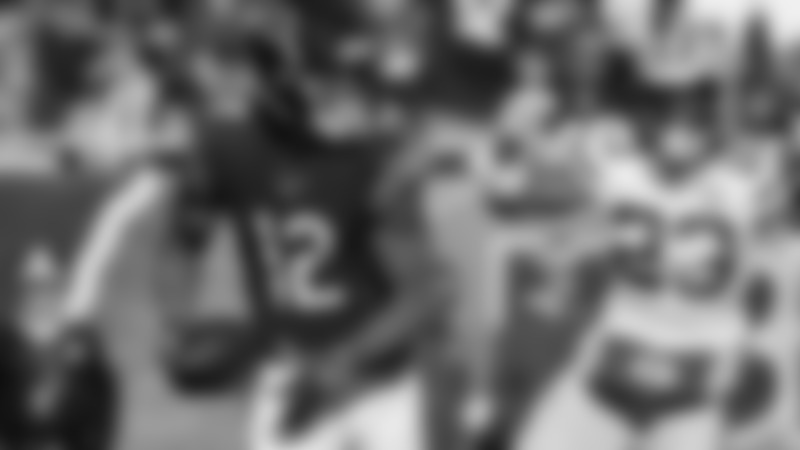 In 2018, he rushed for 935 yards and led the Bears with nine touchdowns. The longest tenured Bears player has garnered Pro Bowl consideration the past several years as a top special-teams performer. Long was voted to the Pro Bowl in each of his first three seasons with the Bears from 2013-15, but serious injuries have hampered the veteran guard the past three years. Robinson would have a better chance if the Bears didn’t spread the ball around so much on offense, but he played like a true No. 1 receiver in his first season with the team. Goldman isn’t flashy and doesn’t play a glamorous position, but he does the dirty work on one of the NFL’s best defenses and is one of the league’s top nose tackles. The tight end was named a Pro Bowl alternate in his first season with the Bears, establishing career highs with 54 receptions, 569 yards and six touchdowns. A Pro Bowl alternate in 2018, the inside linebacker ranked second on the Bears with 102 tackles while also recording two sacks, six pass breakups and eight tackles-for-loss. 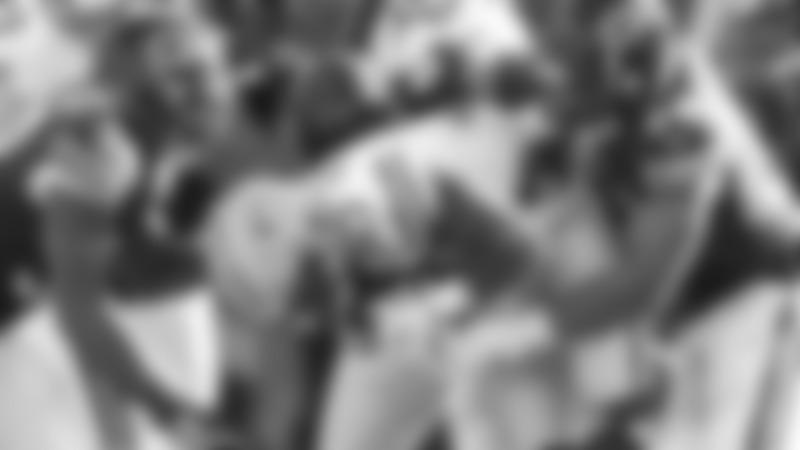 After recovering from a hand injury that limited him the first half of the season, the outside linebacker was named a Pro Bowl alternate after dominating at times against the run and pass. 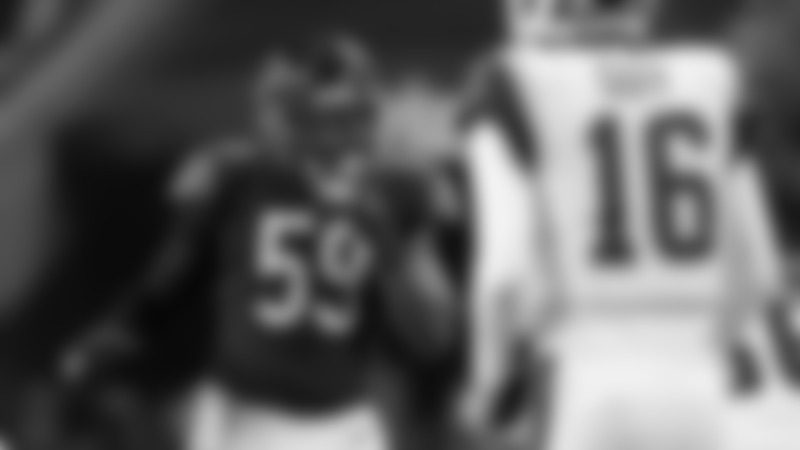 The All-Rookie inside linebacker will only improve in his second season after leading the Bears with 122 tackles and being named a Pro Bowl alternate as a rookie.